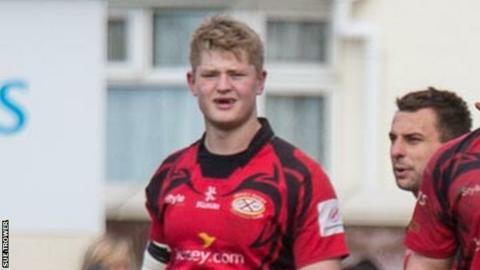 Jersey lock forward James Voss has accepted a new scholarship with Premiership side Gloucester. The 19-year-old, who earlier this week told the BBC is joining a programme run jointly by Gloucester and National One side Hartpury College. It will allow Voss to study for a foundation degree while continuing to play rugby. "Rugby players are continually having to find the balance between developing the skills needed for life after rugby, either through injury or retirement, and giving themselves the best chance of succeeding in the professional game," he added. "The joint scholarship gives aspiring professional players the chance to do that, combining an academic degree alongside training and playing for Gloucester and Hartpury."